Andres Lombana-Bermudez is a researcher and designer working at the intersection of digital technology, youth, innovation, and learning. 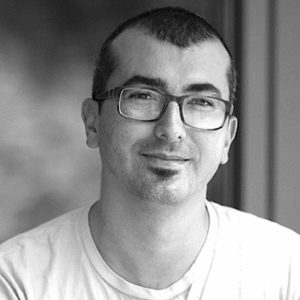 His approach is transdisciplinary and collaborative, combining ethnographic and quantitative research methods, design-based research, and media technology design. He is a fellow at Harvard University’s Berkman Center for Internet and Society and a Research Associate with the Connected Learning Research Network. Andres has worked in the field of digital media and learning for over a decade and collaborated in projects such as the Digital Edge, Coding for All, Berkman Klein’s Youth and Media Lab, the New Media Literacies Project, and KLRU-Austin PBS summer STEM. His dissertation research focused on digital inequalities, immigrant assimilation in the U.S., and participation gaps among Latino/Hispanic youth. Andres studied Political Science and Literature at Universidad de los Andes (Colombia), and holds an M.Sc. in Comparative Media studies from MIT, and a Ph.D. in Media Studies from UT-Austin.